Inlays and Onlays are partial crowns that can be made of porcelain. They are recommended for large cavities or replacement of large old metal (mercury) fillings that are not restorable with regular filling materials. Impression of the prepared tooth is sent to the laboratory for the ceramist to handcraft the restoration. This procedure will take two appointments. Advantage of Inlays/Onlays are the conservation of healthy tooth structures. Crowns, inlays and onlays can be made in the laboratory from dental composites. These materials are similar to those used in direct fillings and are tooth colored. One advantage to indirect composites is that they do not excessively wear opposing teeth. Their strength and durability are as high as porcelain or metal restorations and they are less prone to wear and discoloration. Inlays and onlays are performed using very similar procedures. Both require two trips to the dental office. At the first appointment, Dr. Nader Ahdout begins the procedure by numbing the area using a local anesthetic. The decay or damage is removed using a drill, preparing the tooth for its new surface. 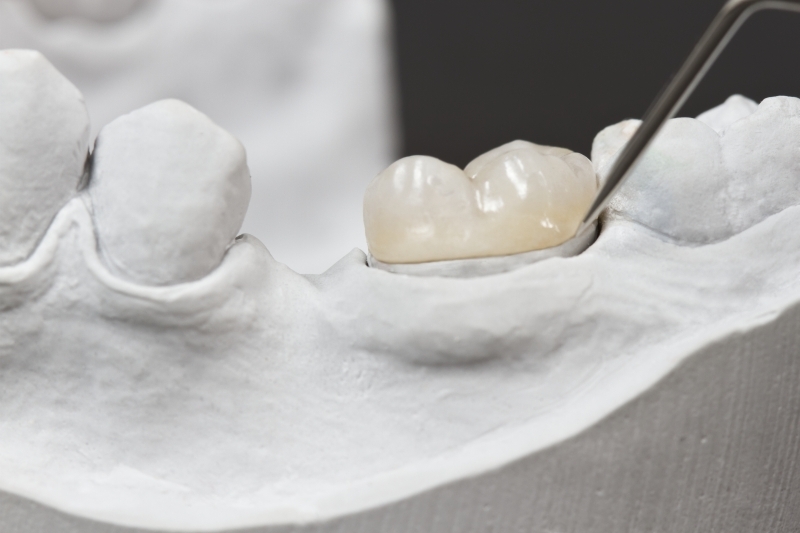 After all the damage is removed, an impression is made of the prepared tooth so the inlay or onlay material can be cast in a form that will fit the tooth exactly. A temporary restoration is placed on the tooth to protect it for two to three weeks until the laboratory makes the new structure and it can be bonded to the tooth. Using the impression, a laboratory prepares the new tooth surface using gold, porcelain or composite resin. Upon return to the dentist’s office, the temporary restoration is removed and the surface is cleaned to prepare for the new structure. Dr. Nader Ahdout will then try in the new restoration to ensure that there is a correct fit that doesn’t interfere with your bite. If the fit is good, using special cement or bonding, the inlay or onlay is permanently attached to the tooth. Some minor adjustment may need to be made to the restoration if there are interferences.